While observing two elementary schools in Auckland, New Zealand, it was readily apparent that the emphasis was on cultivating not only academic skills but various soft skills, as well. Though teachers in the United States work diligently to cultivate these skills in students, the New Zealand Public Schools has systems in place that better enable and support teachers to be able to achieve this goal. The school day revolves around students working on learning progressions and competencies on their individual level. Stonefields Elementary School had an online learning system called School Talk that enables teachers to efficiently track student progress, group students, and empowers students to take ownership of their learning. As students move through the learning progressions, they are given multiple opportunities to show evidence of their learning and mastery. Given the structure of American Public Education, the notion of having every individual student working at his or her individual level may seem entirely overwhelming. However, the New Zealand education system is structured efficiently to make this a feasible and attainable reality. At Freeman Bays School, there was a different online system, but it achieved the same goal. The Freeman’s Bay School epitomizes the diversity of New Zealand with approximately sixty different ethnicities. Additionally, they experience a large transient, immigrant, and English language learner population. To ensure progress and growth, they use a system of “Learn it, Practice it, Prove it.” As students show understanding and move to the next learning goal, teachers present material for the students to learn using a workshop method, students move through individual learning tasks for practice, then students provide evidence of mastery. Observing similar systems at different elementary schools proves the need to use individualized learning, regardless of student population. It would be impossible to describe the ins and outs of the New Zealand Public Education System without also discussing the culture of both the people and the schools. 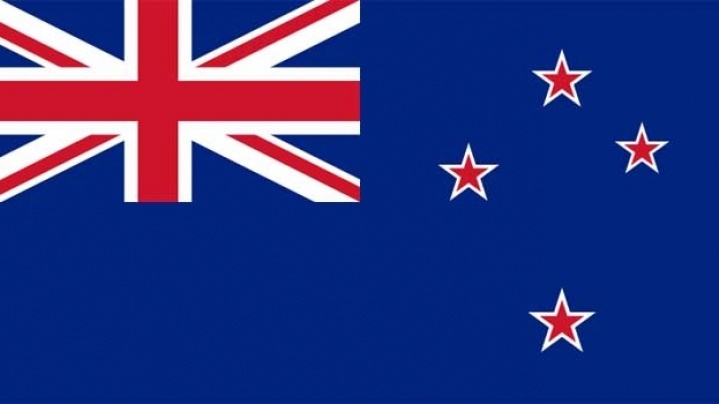 As we walked throughout the schools, the American educators were repeatedly remarking on the independence of the New Zealand students. While observing a first grade class (referred to as Year 2 in New Zealand), there were four students working outside in groups of two on math with no adult supervision. This is a sight that one would rarely, if ever, be observed in an American school. The independent nature of students is the byproduct of a variety of factors. As one guide said, New Zealanders are not “risk averse” people. The students are allowed to climb trees, play in the “bush,” and play in the creek behind the school at recess. In the classroom, this independence is not the result of magic, but rather explicitly teaching students how to take ownership of their learning. Just as in the United States, there are specific learning objectives that are taught to students, (i.e. fractions, expository writing, reading strategies, etc.) However, students are also explicitly taught how to learn. Every single day, not just once in a blue moon, there is an inquiry portion of the day. During this time, the students are able to raise questions surrounding topics that are of interest to them, as long as they can prove that this would benefit their learning. Then, the teachers provide varying levels of scaffolding as students research their topics of choice and create evidence of their learning. The trust between teachers and students that makes this a reality was truly remarkable to behold. This same trust that is crucial to the relationship between teachers and students is also crucial to the relationships between parents and teachers, schools and communities, and education and the society at large. Just as teachers give their students a remarkable degree of autonomy over their learning, the New Zealand society entrusts teachers and schools with a remarkable degree of autonomy over education in general. The same autonomy that empowers students to take ownership over their learning empowers teachers to take ownership over the school. In other words, everything about education in New Zealand is from the bottom up, in contrast from the top down system of the United States. The schools that we have visited have truly risen to the occasion by doing the hard work necessary to ensure that every student is learning and growing at the highest level. By continuing to work to improve schools, educators ensure that this trust between schools and communities remains strong. Given the stark contrast to a highly structured American School system, many Americans may look at a highly autonomous system like New Zealand and ask, “But what if the teachers fail?”However, an equally important question to ask would be, “What if we never gave teachers the autonomy necessary to build schools like these? What would our students lose?” Of course, there are risks and a degree of messiness involved in an autonomous education system like New Zealand. However, observing the passion, creativity, and powerful learning of these schools, it has become obvious that the pros far out way the cons. At schools all across the world, educators are tasked with the job of determining a vision and priorities. At Hobsonville Point Primary School, the principal articulated the school’s vision, which included a significant emphasis on explicitly teaching learner dispositions. Learner dispositions are primarily about teaching students soft skills and teaching students how to learn. In the United States, the teacher is responsible for a student’s learning. Simply put, the teacher teaches specific concepts and skills that students are expected to learn, and teachers track student progress. At Rogers Public Schools in Northwest Arkansas, part of our mission addresses the notion that all students can learn. At Hobsonville Point, the philosophy is that all students can drive their own learning and the students take ownership over tracking their own progress. This represents a profound paradigm shift in the faculty’s approach to education. As educators, we often feel overwhelmed by all of the many responsibilities and all of the skills that we must ensure students master. They must read on grade level, write in paragraphs, know their multiplication facts, pass the state standardized tests, and so much more. This pressure can be truly overwhelming. With so much on our plate, unfortunately it can be easy to lose focus of what we are really here to do. We are to develop lifelong learners and happy, engaged citizens who are prepared for an unknown future. In New Zealand, the schools appear to be much more focused on the underlying purpose of education. As the result of the pressure to cover so many concepts and perform well on standardized assessments, many American educators may have difficulty shifting time in the classroom to address learner dispositions and soft skills. However, this should be seen as an investment in a child’s future. When a student learns these dispositions, they are not being given a fish. They are being taught how to fish. Of course, students cannot just magically take ownership over their learning. The faculty at Hobsonville works diligently to explicitly teach the learner dispositions crucial to driving one’s own learning. In order to incorporate time in the school day to explicitly teach learner dispositions, the faculty must prioritize what is truly considered to be essential. We heard several principals, deputy principals, and teachers discuss the importance of taking something off your plate when you decide to put something else on your plate. The reality is that there are only so many hours in the school day and so many days in the school year. One day, students will leave schools, and teachers will not be there to teach students new concepts. However, since New Zealand teachers have invested so much time and energy into teaching students how to learn, how to work with others, and how to chase their curiosities, these students will be better able to face and adapt to an unknown world.